The 61st Annual GRAMMY Awards, hosted by the Recording Academy, took place in Los Angeles on Sunday, February 10th. Highlighting some of the biggest releases from the past year, The Orchard is grateful to have worked with and distributed many of the night’s honorees. Tuning in to the Premiere Ceremony, where the majority of the award winners are announced, Young Art Record’s TOKiMONSTA and Best Dance/Electronic Album nominee took the stage to announce many of the night’s first winners. Nominee for Best New Age Album, Snatam Kaur of Spirit Voyage Music, gave an incredible performance, while Claudia Brant (SME US Latin/Brantones Records Inc.) humbled us with a shout out during her “thank you” speech for the Best Latin Pop Award. Cécile McLorin Salvant took home the award for Best Jazz Vocal Album with The Window. This is the third win for the Mack Avenue Records artist who earned a GRAMMY for the same category just last year for Dreams and Daggers. With a unique, warm and broad vocal range Cécile’s artistry stands out amongst the competition. Her character and talent shine with a charismatic and theatrical twist. John Daversa was certainly one of the biggest winners of the evening with three wins! The BFM Jazz musician, along with DACA artists, earned Best Arrangement, Instrumental or A Cappella for “Stars And Stripes Forever” and Best Large Jazz Ensemble Album for American Dreamers: Voices Of Hope, Music Of Freedom in addition to John’s win for Best Improvised Jazz Solo for “Don’t Fence Me In.” The now award-winning album American Dreamers: Voices Of Hope, Music Of Freedom included participation from 53 DACA members, many of which John Daversa brought on stage and mentioned in his three speeches throughout the ceremony. The entire project highlights these inspirational American Dreamers and musical prodigies who’ve overcome a multitude of challenges to master their art. 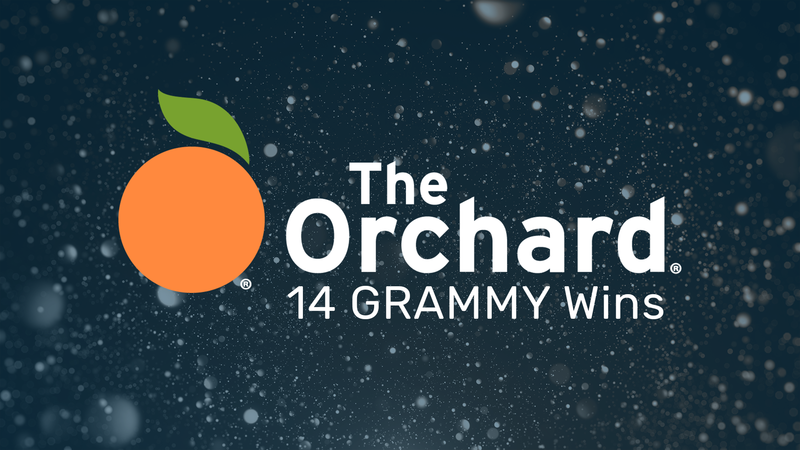 Congrats to all The Orchard’s artists, labels, and partners who took home the golden Gramophone! Check out the full list below.